Graphic narratives of tragedies involving the journeys of irregular migrants trying to reach destinations in the global north are common in the media and are blamed almost invariably on human smuggling facilitators, described as rapacious members of highly structured underground transnational criminal organizations, who take advantage of migrants and prey upon their vulnerability. 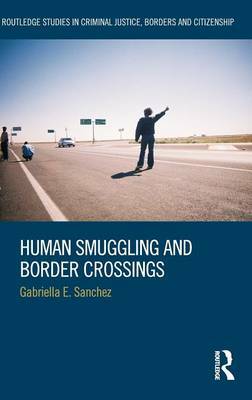 This book contributes to the current scholarship on migration by providing a window into the lives and experiences of those behind the facilitation of irregular border crossing journeys. Based on fieldwork conducted among coyotes in Arizona - the main point of entry for irregular migrants in the United States by the turn of the 21st Century - this project goes beyond traditional narratives of victimization and financial exploitation and asks: who are the men and women behind the journeys of irregular migrants worldwide? How and why do they enter the human smuggling market? How are they organized? How do they understand their roles in transnational migration? How do they explain the violence and victimization so many migrants face while in transit? This book is suitable for students and academics involved in the study of migration, border enforcement and migrant and refugee criminalization.